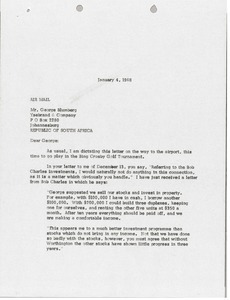 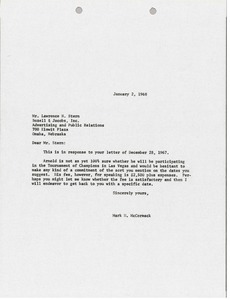 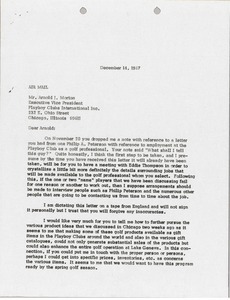 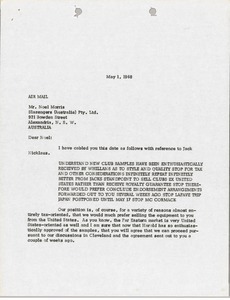 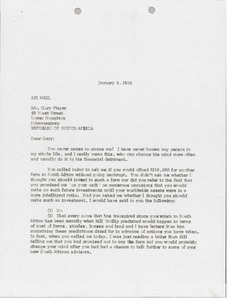 Cleveland (Ohio) - McCormack writes regarding Bob Charles' investments in South Africa. 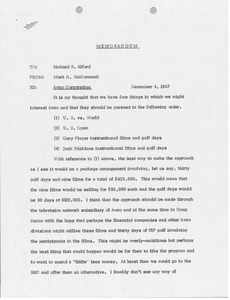 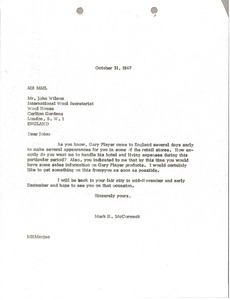 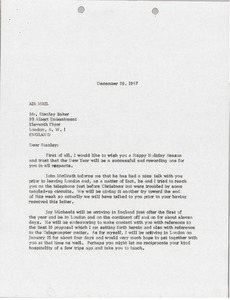 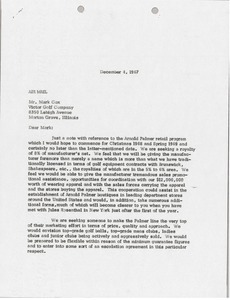 Cleveland (Ohio) - McCormack writes regarding Jay Michaels and the Best 18 Holes in Great Britain television series featuring Gary Player and other professional golfers, the Jack Nicklaus instructional films and the development of a live television event comparable to the United States World Series of Golf. 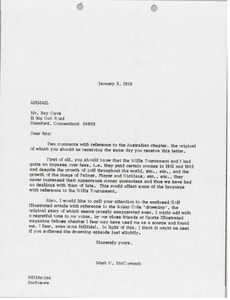 Cleveland (Ohio) - McCormack writes about an impasse with the Wills Tournament and the Sports Illustrated article about Bobby Cole "drowning".